The Ultra Lyophilizer from SP Scientific is a compact, free-standing freeze-drying system that can process bulk products, vials of all shapes and sizes as well as large numbers of microplates. The Ultra is a true workhorse system - flexible and small enough to fit into a laboratory but with larger shelf and condenser capacity to enable those involved in small-scale production or scale-up research to process larger batches. Control options are available to provide cGMP-compliant data monitoring and automation applications for 21CFR11 requirements. With the Ultra you can specify up to 2.13m2 of useable shelf area in a footprint of just 1.13m2. The highly polished 316 stainless steel product chamber, shelves and smooth walled condenser chamber ensure that best processing conditions can be easily maintained and that the freeze dryer gives many years of trouble-free operation. Up to 15 shelves can be specified and interspacing can be simply rearranged in most models to accommodate different product containers. With shelf temperatures as low as -70 °C and condenser temperatures to -85 °C, the Ultra supports a wide range of applications. 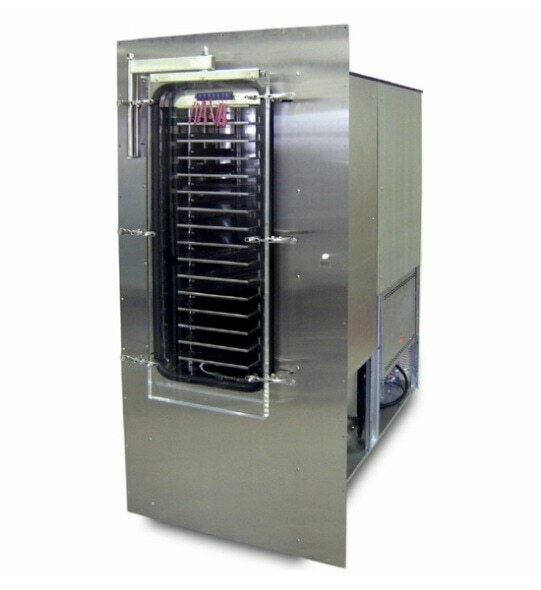 Easy defrost condensers enable fast turnaround between runs. A choice of condenser capacities of 35 or 50 liters allow you to select a high shelf surface to condenser surface ratio that is most suitable when your application calls for freeze drying products that require a very large amount of shelf area but contain less solvent such as with many diagnostic kits and tissue banking applications. All Ultra lyophilizers are supplied on castors for ease of transport and site location and options also include hydraulic stoppering, cleanroom configuration and a series of methods for end point determination.